1943 Bronze cent, submitted to NGC in January 2019 and graded NGC EF Details. Hover to zoom. Fewer than two dozen Philadelphia Mint examples of these famous Mint errors are known to exist. 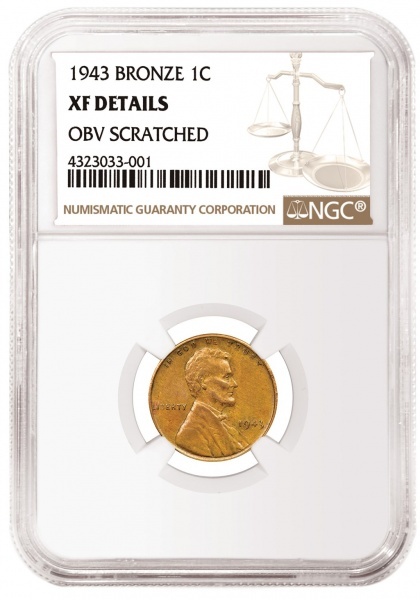 Numismatic Guaranty Corporation (NGC) has certified a 1943 Copper cent that was found in a gumball machine decades ago. 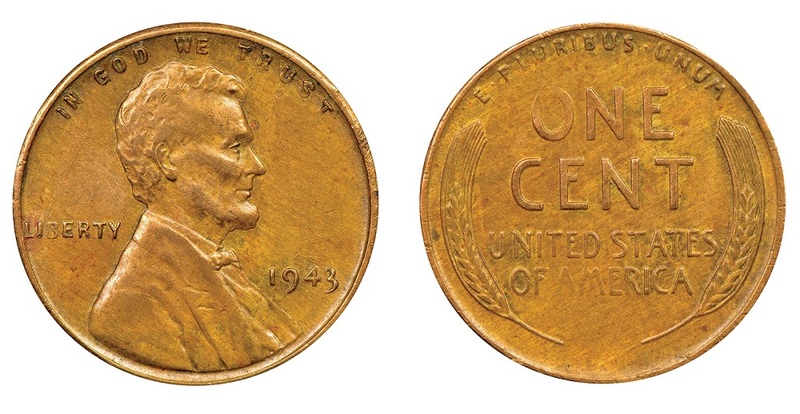 The 1943 Copper cent is generally regarded as the most famous of all Mint errors. All 1943 cents were supposed to have been struck in zinc-coated steel so that copper could be conserved for more important uses during World War II. Nevertheless, a few were mistakenly struck in copper (its composition is technically bronze) and found their way into circulation. Examples are known from all three mints that produced cents that year: Philadelphia, San Francisco, and Denver, with the Philadelphia examples being the most numerous. Still, only about 20 Philadelphia examples are known to exist. The 1943 Copper cent recently certified by NGC was found in a gumball machine in Philadelphia in 1976. It was then sold to a collector for the then-significant sum of $1,000. The buyer passed down the coin to his children, who decided to submit it to NGC for certification after seeing that another NGC-certified 1943 Copper cent — the Don Lutes, Jr. Discovery Specimen — had sold for $204,000 at auction in January. That specimen is named for the teenager who discovered the first 1943 Copper cent in 1947 in his change. The family checked the NGC Dealer Locator to find an NGC Authorized Dealer who could assist with the submission. They found Hudson Rare Coins, which submitted the family heirloom to NGC on their behalf. NGC graded it EF Details.